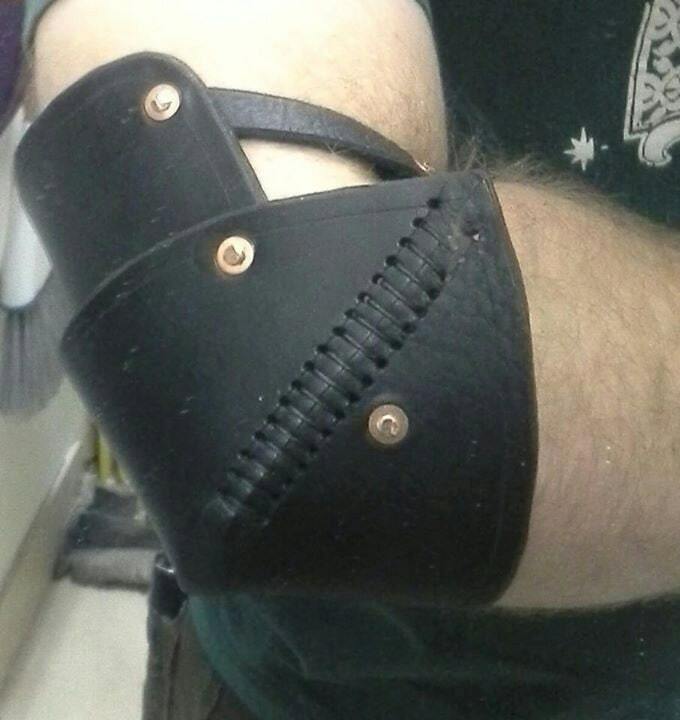 This listing is for a pair of leather elbow cops (couter) arm armor. This style was designed to pair with my "Gondorian" style vambraces. 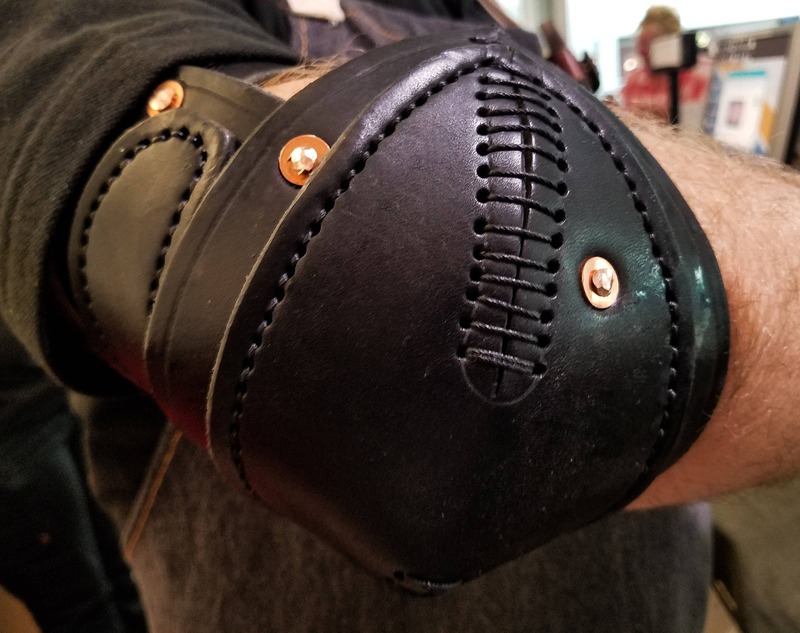 They are constructed much like the other style of elbow armor that I offer, but are more oval in shape, which offers more protection to the inner arm. They are made from 8 oz Latigo leather and feature a 2-point single buckle attachment and articulated upper arm piece. They have the option of being impregnated with wax to add rigidity to function as armor in reenactment fighting, HEMA, LARP, or whatever your hobby happens to be. 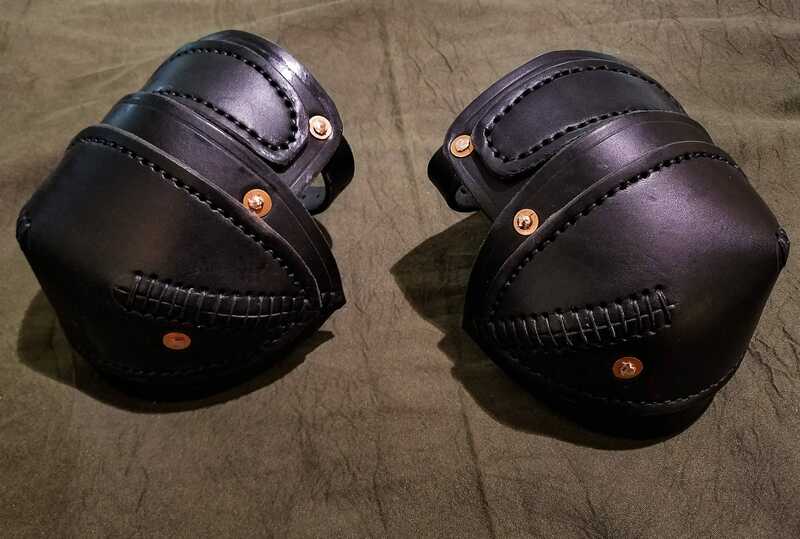 As with any armor, if you do plan on using these for protection, you should wear a gambeson, or add some padding of your own ( I recommend cotton batting/pillow filler). The single layer elbows in the picture are the black option. Be advised that if you choose to wax a lighter color it will cause the leather to darken, so the brown and the Burgundy will end up being a very dark version of those colors. 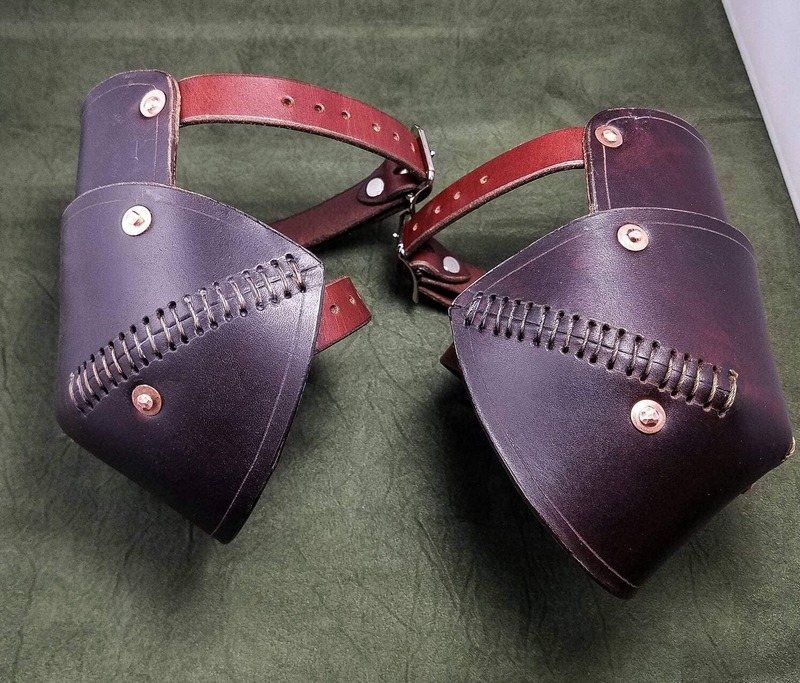 There are also pictures of custom "reinforced" versions of the elbows that has two straps instead of the single two-point system and are shown paired with the "Gondorian" vambraces. As you see in the photos, these can be customized to your preferences. Feel free to message me with any questions. 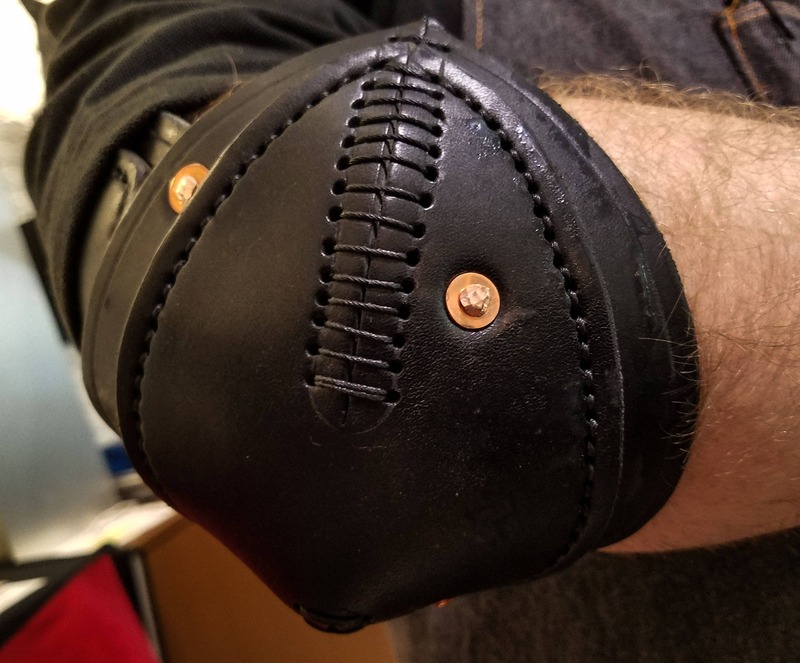 Received the double layer leather elbows today and all I can say is WOW. Amazing!! Great item. Made better than I first thought for the price. Highly recommended. 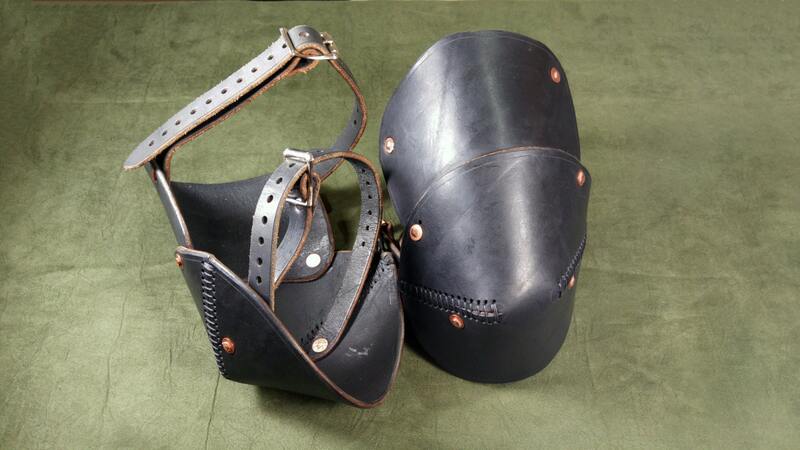 lovely elbows, fit comfortably under tunic and are very sturdy.